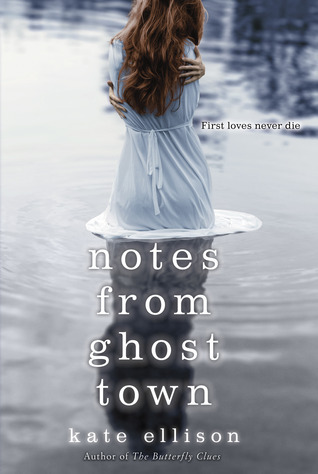 Notes From Ghost Town was a really interesting story that blended a YA contemporary with a hint of paranormal. I wasn't sure how well this would work, but in the end, Ellison pulled it off without a hitch. The story is compelling and Olivia is a likeable and believable character. I definitely felt involved in her story from start to finish and the introduction of the paranormal element was done seamlessly, weaving beautifully into the tale and adding an extra depth to what Olivia is going through. The pacing of this book was excellent, holding my interest throughout, and I had trouble putting it down. This is a great read for fans of contemporary YA who are looking to cross over into paranormal YA (or vice versa). In conclusion, this is a very enjoyable read and I would be happy to pick up future books by Ellison. I received this book as a free e-book AR via NetGalley.